Buffy Silverman is the author of more than 60 nonfiction books for children, winning awards from Science Books and Films, the Children’s Book Committee at Bank Street College, and the Society of School Librarians International. She's also had over 100 articles, stories, and poems–mostly inspired by her love of the natural world–published in popular children's magazines, poetry anthologies, and educational resources. I prefer to think of Buffy as a rock star of nature-inspired poetry. On Today's Little Ditty, I've posted a limerick she wrote about a poor iced-over evergreen and, more recently, a cinquain that's just ducky. But the first time I fell in love with her writing was when she posted about a pet axolotl on her own blog. I still vividly recall my children's expressions of wonderment when I read it aloud. Since then, I've been in awe of how she morphs science with poetry so seamlessly, giving voice to the natural world and making it accessible to children (and adults too). This is why I asked her to be our resident science sleuth. Well, and also because I secretly hoped that some of her powers of observation might rub off on me. 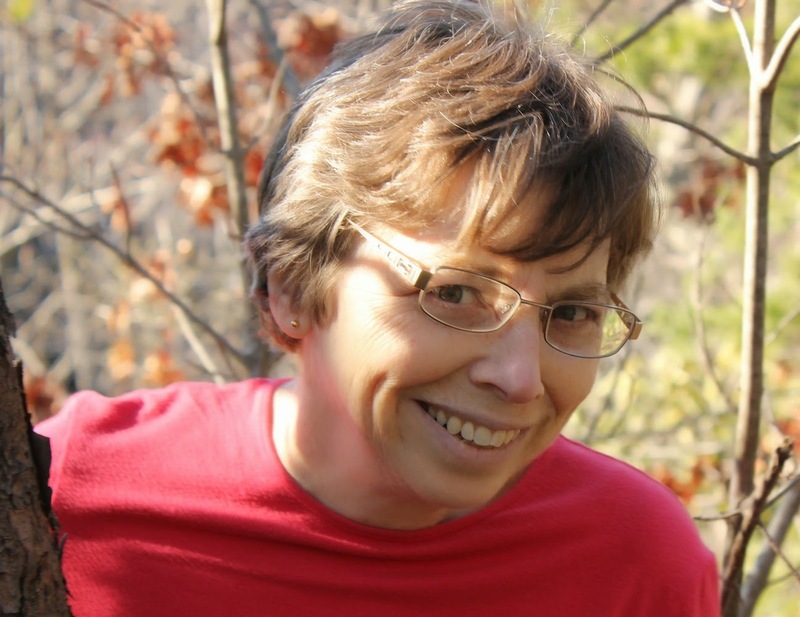 Today she describes her beginnings and her process as a nonfiction poet. I hope you'll find it as fascinating as I do! Like many aspiring children’s writers, I was first drawn to writing fiction picture books when my children were young. After all, I read picture books morning, noon, and night to my little bookworms. Although I didn’t find success writing picture books, I always received positive feedback for the parts of my stories that focused on the natural world. Eventually I found my way to writing nonfiction―I had taught biology and been a naturalist for many years―and I started to get published. But it took many more years for me to understand that nonfiction books were just as interesting and valuable to some readers as fiction stories. That realization came only after I started doing school visits and saw students, many of whom were reluctant readers, pore over nonfiction books. They considered me a “real” author regardless of whether I wrote fiction or nonfiction, so I decided it was time for me to do so, too. In the past few years I have focused on writing nature-inspired poetry--twenty-five years after my first attempts to write for children I think I have discovered my writing path. I’m still finding my way as a children’s poet, but since Michelle has invited me to her blog, I’ll try to offer a bit of what I’ve learned and what works for me. In my school visits I usually share an informational text, a creative nonfiction story, and a poem on the same topic. The poem often gets the most enthusiastic response from students. Perhaps it’s because I’m enthusiastic about the poems I share, but I think the language and humor of nonfiction poetry speaks to students. I especially find this true when sharing a mask poem. If a poem shows the world through an animal’s eyes, the reader feels an instant connection to the subject, and perhaps a greater one than is possible with an informational or narrative piece. I often choose to show a life-and-death struggle because that’s what the twelve-year old inside of me wants to imagine. Thank you Buffy for such a splendidly horrifying tale of nature at play! Don't get me wrong, I love a life-or-death struggle as much as the next 12-year-old, but perhaps the truest testament of my devotion to your work is that I actually posted such a creepy... er... interesting accompanying photograph. (Do not take that act of self-sacrifice lightly.) Looking forward to whatever handsome creature you write about next time! The calendar may say there are still two weeks left in July, but next Friday, the 25th, I will be posting the end-of-month wrap-up for Tamera Will Wissinger's ditty challenge. Will your parody or tribute poem be there? I sure hope so! So far I've featured poems by Kristi Veitenheimer, Gayle Krouse, James Duke, and Yours Truly. Stay tuned for some terrific ones lined up for next week as well! To join in the parody pandemonium, please send your poem to TodaysLittleDitty (at) gmail (dot) com or use the contact form in the sidebar to the right. But wait there's more! Did you know participants will all be eligible to win a copy of Tamera's delightful new picture book, THIS OLD BAND? Get your wiggle on! Tabatha Yeatts and the Poetry Monster are hosting today's Poetry Friday roundup. You can find them over at The Opposite of Indifference. Great post Michelle and Buffy! I always long to be better at poetry than I am. These poems (the one in this post and the ones you linked to) are all so fun! I can see why kids love them! "If a poem shows the world through an animal’s eyes, the reader feels an instant connection to the subject, and perhaps a greater one than is possible with an informational or narrative piece." And empathy is born! Thanks for this informative interview, ladies! I can see why kids love your poetry, Buffy! I'm looking forward to following your writing here and on your blog as well. Thanks, Buffy and Michelle. I enjoyed this advice very much, Buffy. The research that goes into the poem appears so easy, but listening to your process and all that you did just for this poem is terrific. Thanks Michelle for having Buffy as one of your contributors-always a pleasure to stop by! A wonderful post, Buffy and Michelle. I enjoyed the poem very much. Now I'm heading to Buffy's page to read more! -Buffy is amazing at sharing her love of nature! Her poetry is so unique and interesting that both kids and adults will learn something from her. That photo is intense! It's an appropriately creepy accompaniment to the poem. Thanks to everyone for reading and commenting--I appreciate it! And to Michelle for sharing her blog. Nonfiction has found its way back into the limelight with the advent of Common Core. I was fascinated by the research that went into the creation of a delightful nonfiction poem that has such a punch at the end. Thank you both for enlightening me on the subject of nonfiction poetry. I love getting to know our PF poets better! Thanks for a great interview! What a treat to get a peek into Buffy's process -- it's reassuring that it took her (only) 25 years to find her writing path. 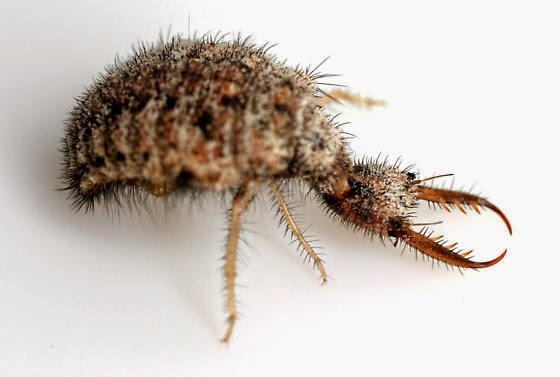 :-) I love the mesmerizing rhythm of the antlion poem, it lured me in ... chomp. Thanks Carol, Mary Lee, Keri, and Myra. Glad you all enjoyed reading this, and I appreciate the comments! I love Buffy's work! She has such a knack for getting her "nature" voice in her poems! It's amazing. I so agree - Buffy's nature poetry is beautiful! I want to write like her when I grow up. :-) And Buffy, congrats on your poem in Ladybug (or was it Spider?) this month, too. I noticed it as I was reading with my daughter and I keep forgetting to tell you. Thank you Penny and Carrie--it's nice to have fans like you!! So glad you read my poem in Ladybug with your daughter, Carrie.